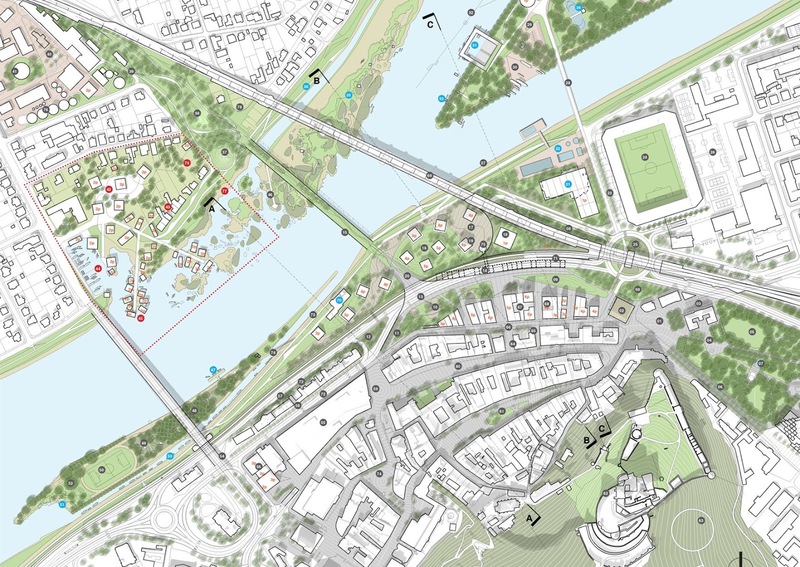 The aim of our proposal is to create a compact urban centre promoting diversity, inclusion, connectivity, spatial experience, as well as integrating the River Váh into the city environment. The phased process of transformation therefore begins with intensification of the core itself. 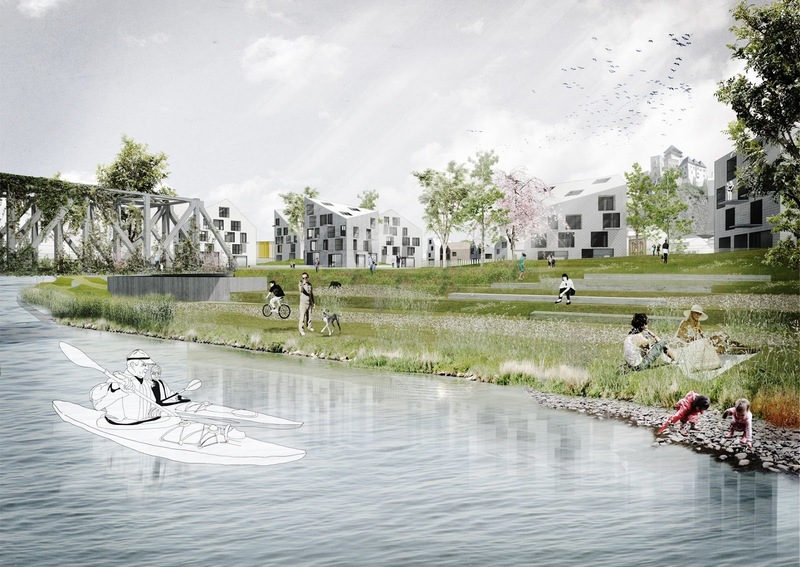 The river can be integrated into the city only after achieving the critical density and urban character of its centre. 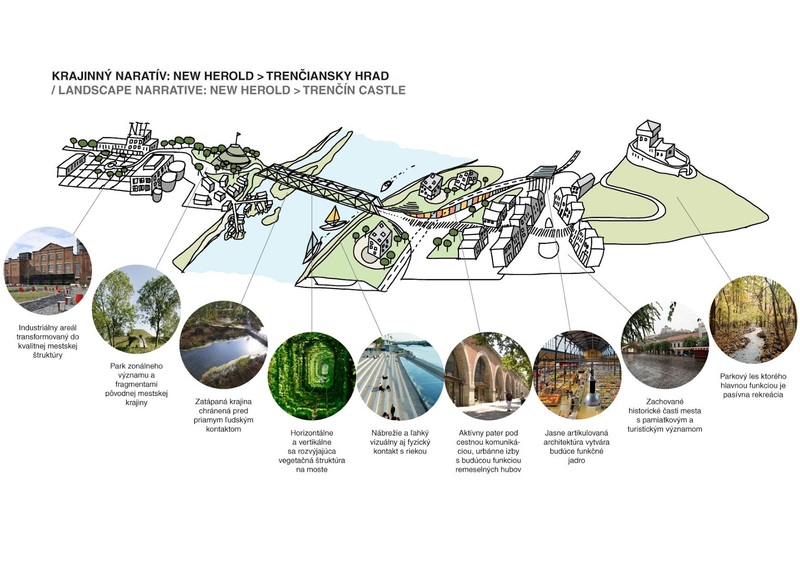 Transformation of the heart of Trenčín builds on the current urban as well as social memory of individual and interconnected stories of people evolving in space and time. The formerly renowned fashion industry of the city has left a nostalgic pathos of Trenčín as a city of fashion. 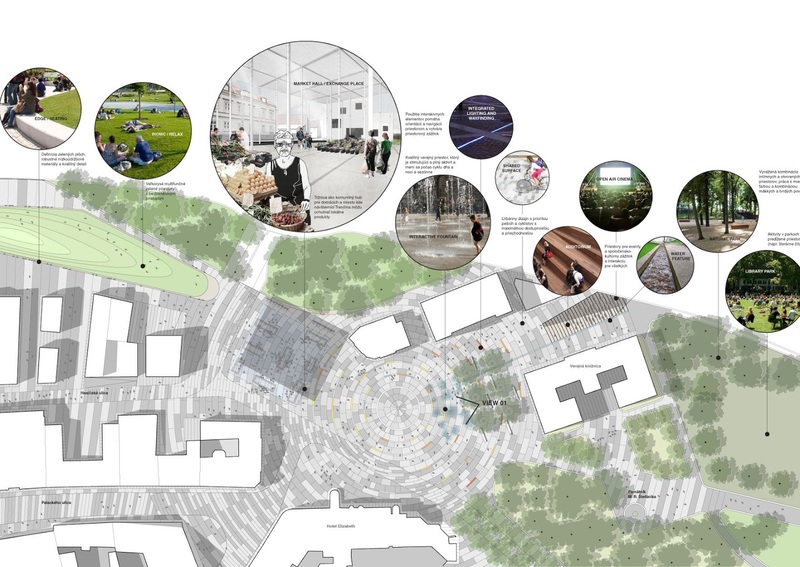 We propose a smart specialisation to promote culture, design and fashion as a catalyst for the city’s transformation, through specific interventions such as revitalisation of Old Herold into a creative hub, creation of a new multifunctional cultural centre on the left riverbank, introduction of an outdoor auditorium on Pohoda Square (today known as SNP square), as well as recommending the city administration to actively support local leadership and organise regular festival of the city and cultural events. 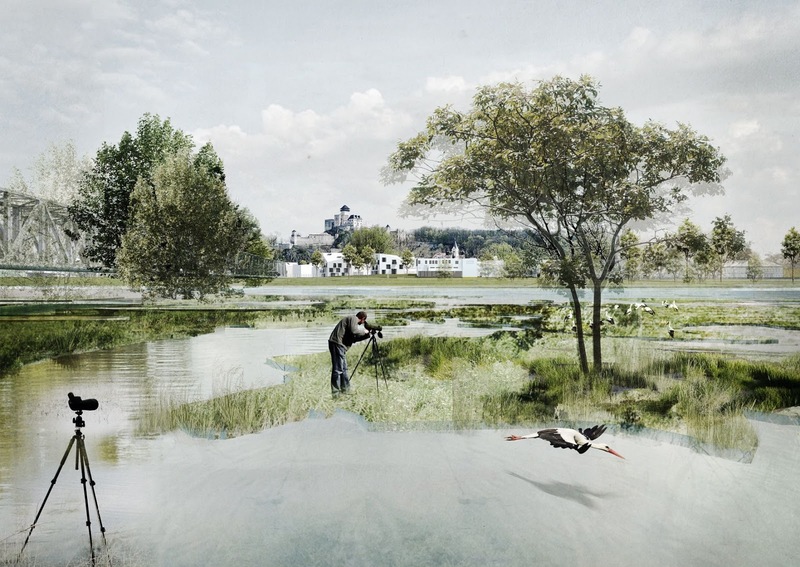 The Bluefield development we propose prioritizes water-related and water-dependent activities supporting connectivity between the river and its riverbanks in order to establish the River Váh as a vital community resource. 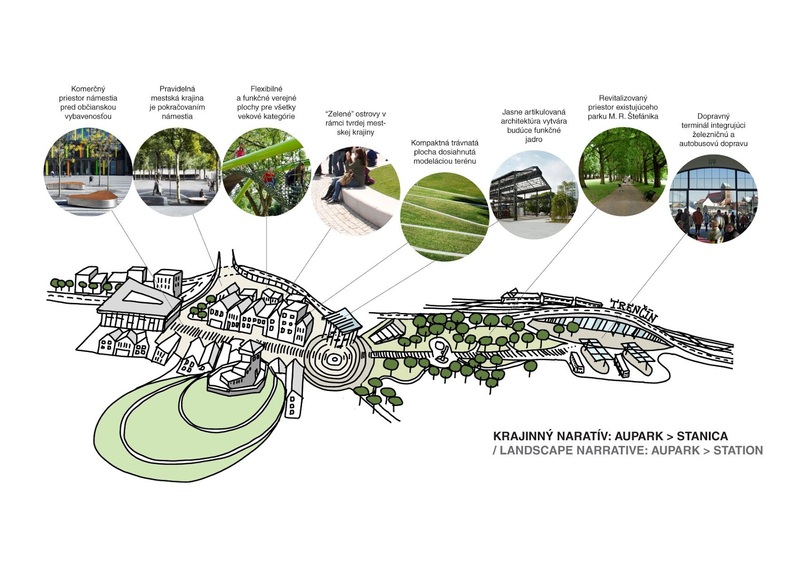 Extensive transformation of the core of Trenčín is justified only if there is compromise with sensitivity to local needs and expectations balanced with requirements of national and global nature. 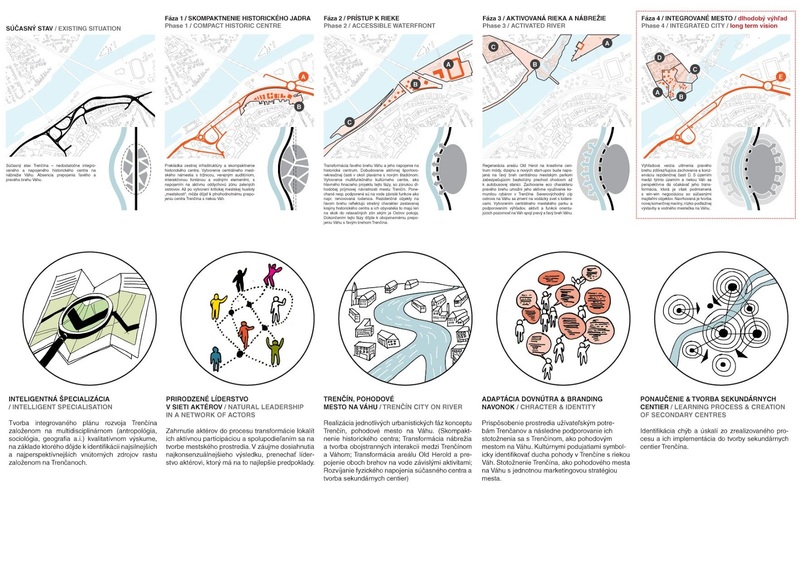 Our proposal balances old and new, taking advantage of the opportunity to redefine the fundamental principles of the city’s development. The city should emphasize social aspects of justice through tolerance and convergence of the quality of life for all people of Trenčín. 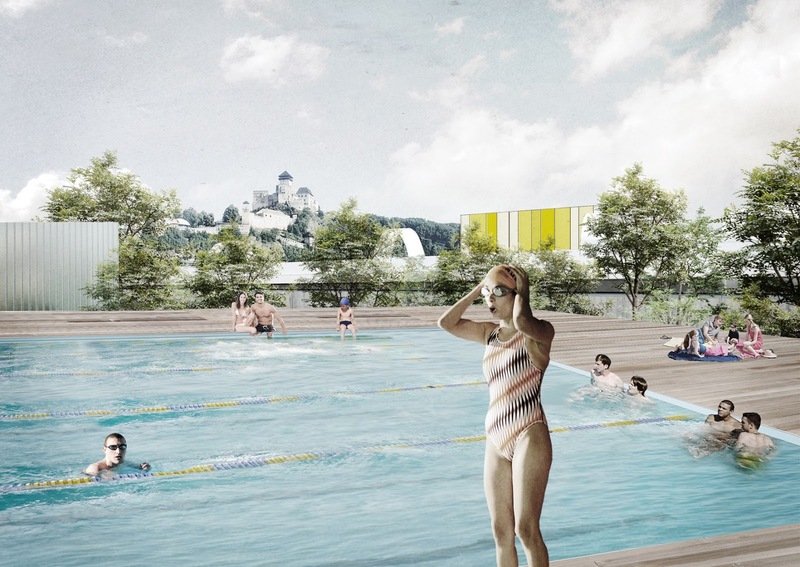 The second principle of our proposal is transparency and open communication between the city and the public. 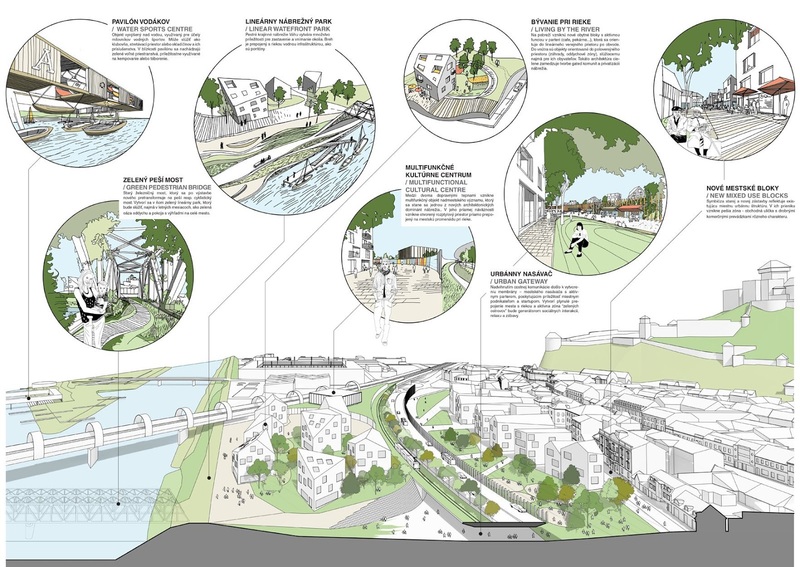 The third principle is based on responsibility and accountability through creation of sustainable places, functional diversity and safety of the urban environment. 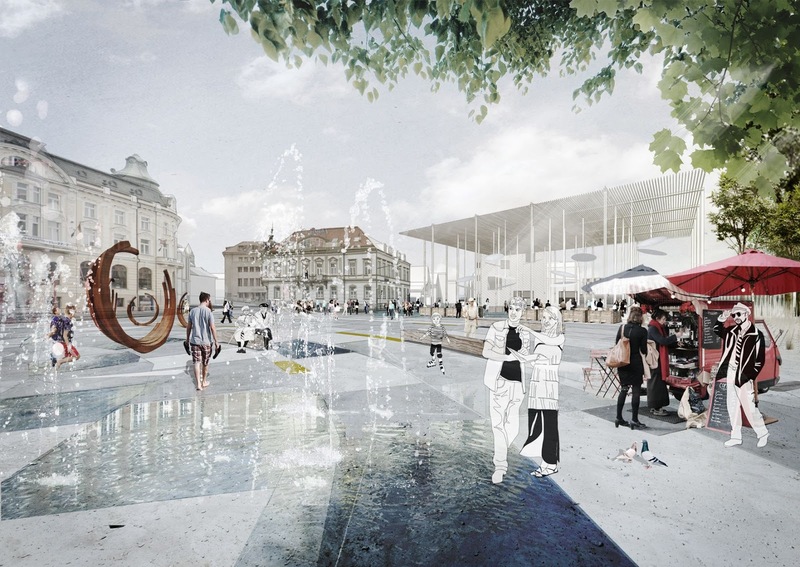 The fourth principle stresses the need for an attractive city, such that will provide perspective for the young generation through quality public spaces and architecture supporting livability. Every year, nearly 30,000 people participate in creation of the festival phenomenon POHODA. Pohoda is when one feels relaxed and happy and shares the feeling with others. 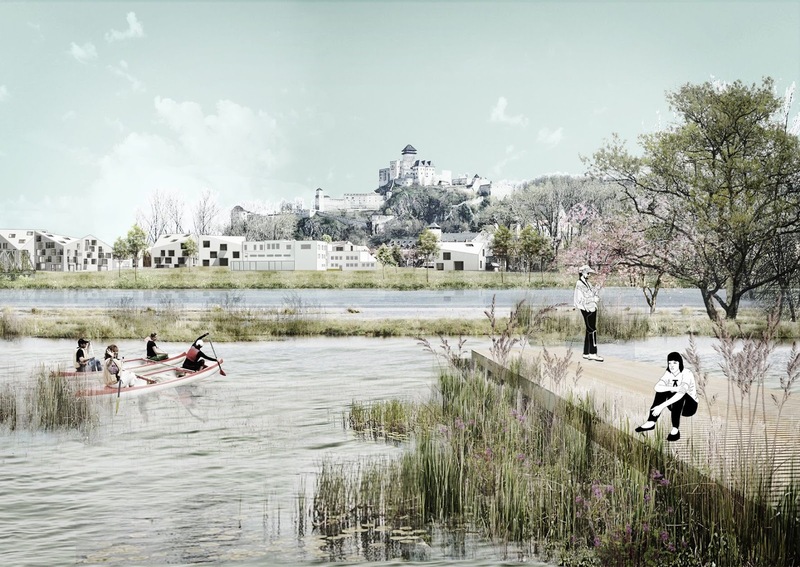 Our proposal TRENČÍN – POHODA CITY ON THE RIVER VÁH builds on the festival spirit and contributes to creation of pohoda in the heart of Trenčín through a festival of the city.